Beginning May 22, 2015, the Diamond Celebration will feature three sensational new nighttime spectaculars, which will take Guests into the worlds of Disney stories like never before. 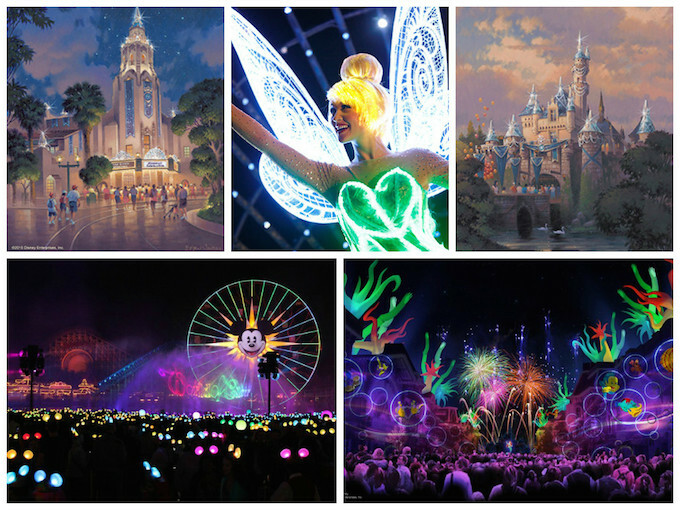 In addition, the iconic Sleeping Beauty Castle at Disneyland Park and the Carthay Circle Theatre at Disney California Adventure Park will glisten and gleam for the celebration, each with its own diamond medallion. The Disneyland Resort and surrounding streets will sparkle with Diamond Celebration décor and festive banners in shades of Disneyland blue. Also bearing the diamond anniversary theme, creative merchandise and food items will be designed to complement the celebration. January 30, 2015 in What's New in 2014.